Some of Beyond Today's first "residents" will not have to pay a cent for the new homes. The 64 hectares of wetlands within Beyond will provide a magnificent outlook from your property whilst creating a new habitat for many species of native birds and animals. Creating large scale native habitat and wetland estuarine ecosystem for the benefit of reintroduced aquatic life and a feeding/nesting habitat for native bird life including estuarine wading birds. It is estimated the site will create a habitat for about 120 different species of birds. By mid 2013, 70 new bird species have been attracted to the area. Recently tested, the Beyond wetlands have been rated some of the best within the state. 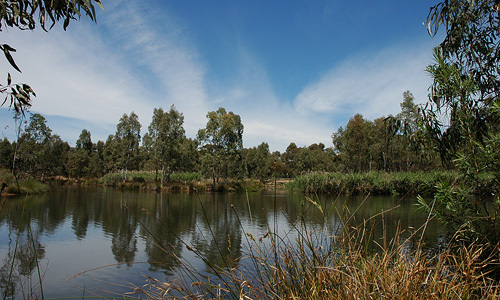 The Department of Environment and Heritage have begun rescuing rare and endangered fish, such as the Pygmy Perch and Spotted Gudgeon, from natural environments that have become over polluted or too saline and are relocating them to the Beyond wetlands. The project will be used as a demonstration and educational project for field environmental education purposes for schools, tertiary, broader community and farming community in SA. The planting of native species, including native trees, grasses and reintroduced estuarine plants, will provide a seed bank for other environmental restoration projects in SA, particularly across the Fleurieu Peninsula and nearby Murray River lakes and Coorong systems. Throughout the open space, parks and wetland areas, over 200,000 native provident plants and trees have been planted and thousands more will be planted within the coming years. Seldom will you find a development that holds such importance in the regeneration of native flora and fauna providing you with a natural ecosystem at your doorstep. Beyond's developers will continue to maintain the site for an extra 3 years (at a minimum) beyond the required 1 year by councils, making sure that planted areas are given the best opportunity to flourish and mature. Viewing platforms by the wetlands, playgrounds, barbecues, shelter and seating will all be constructed throughout the open space for your use and enjoyment. 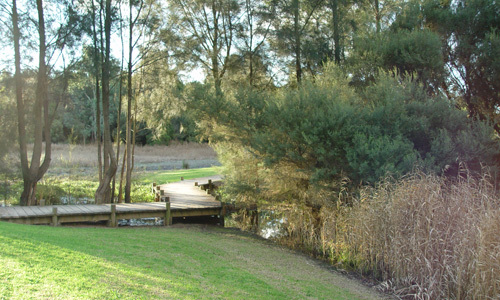 A stunning bike/walkway running the length of the development, weaves its way along one edge of the wetlands and around the mounds of the lower wetland, leading you to Watson's gap and the beach. A beautiful soft sanded, swimming and surfing beach is located within only a gorgeous short walk or ride from your home. This bike/walkway links with the Victor Harbor to Goolwa bikeway just before reaching the beach and can be taken in either direction for a relaxing and sightseeing ride. Take a right and you find yourself in the heart of Victor within minutes. Continue on this trail and make your way around Encounter Bay to Rosetta Head (the Bluff), riding along the coast the whole way with fantastic views out to the islands. Take a left and you ride into Pt.Elliott for some whale watching, past Basham's beach into Middleton and along the surf beaches, through Tokouremoar native reserve, then finally along the river Murray into Goolwa.